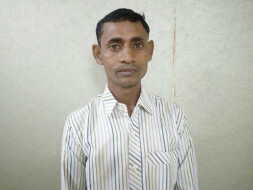 It's been almost 6 years now that 38-year-old Gopal Prasad got to know about his heart problem. He has consulted various doctors and has been on medication, trying to control his heart problem. His mother and his wife depend on his 2000 rupee income for their monthly expenses as well. So a surgery was beyond their imagination. Gopal runs a small paan-shop (selling beetle leaves). He hardly earns enough to provide for his household expenses, besides his medication and his ailing mother. It's been over 6 years now since he came to know of his heart condition. His small income and poor access to proper health facilities caused him to refrain from the idea of a surgery for so long. He had been trying to regulate the condition by medication. It was a few days back that he got to know he will not survive unless he is operated. 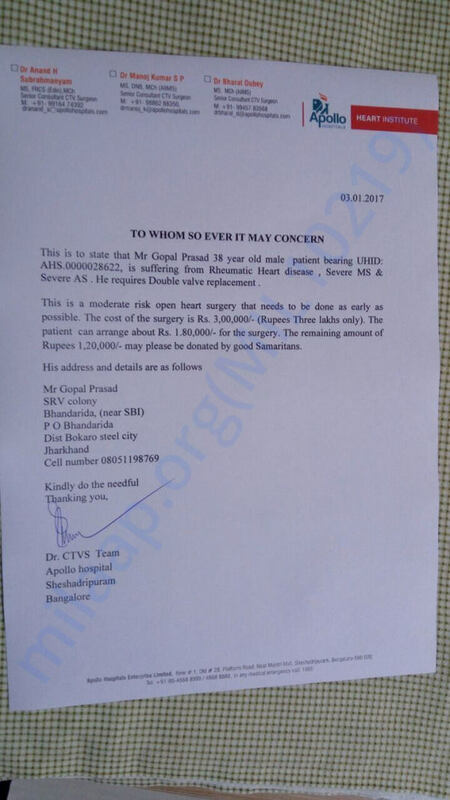 He suffers from a rhemutaic heart disease and urgently needs to undergo a valve replacement. 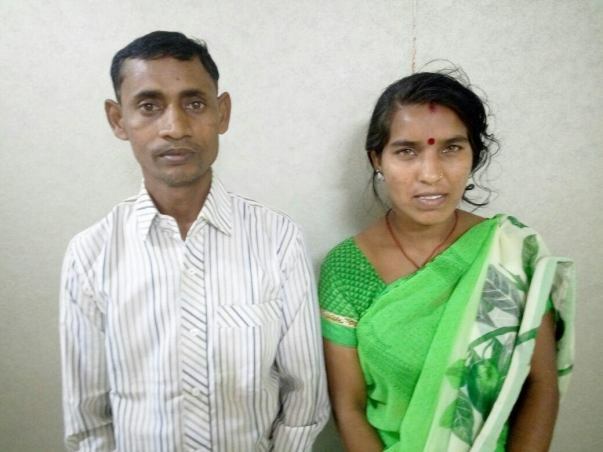 They are 1,20,000 rupees short of the required funds for the procedure. Gopal has no children. Hence, his wife and his old mother have nobody but him. He will not make it unless the surgery is not conducted at the earliest. 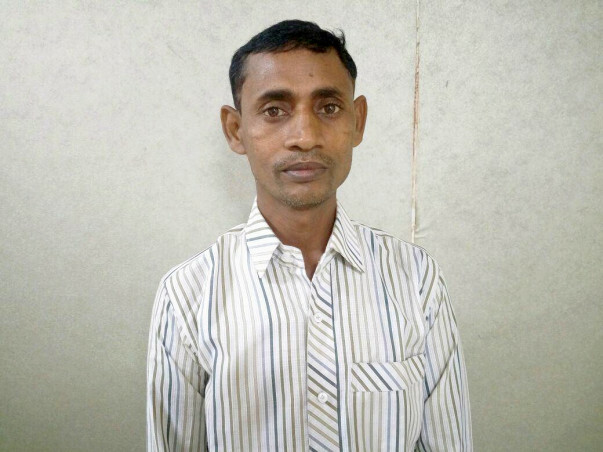 He has borrowed from every single relative and friend to arrange the 1,80,000 rupees. In fact his nephew even sold off his vehicle and they have mortgaged almost every possession of theirs. Your small act of kindness today could answer the prayers of a wife and an old mother spending each day in uncertainty of their orphaned future. Please help Gopal. Hello everyone. Here is an update about Gopal Prasad. Gopal Prasad was operated in the hospital on 2nd Mrach’17. He had taken up double valve replacement in the beginning. But while operating the Mitral Valve was found reparable and hence he landed up with Aortic Valve Replacement plus Mitral valve repair. He was discharged on the 5th post-op day. He followed up after one month with the doctors. He is now back home and doing well. We will keep you updated about his health.